From Thomas Agbenyegah Adzey, Kumasi . The Ashanti region recorded a total of 1,949 accident cases within the first three months of 2018, representing an increase of 267 cases during the same period in 2017 when 1,682 cases were recorded. The region also recorded 243 fatal cases, 462 knock downs and 304 deaths, with a total of 2,194 injured victims during the same period, which comparatively was an increase over the previous year’s figures. These were disclosed on Tuesday by the Ashanti Regional Commander of the MTTD, Chief Superintendent of Police Mr. Frank Abrokwa, during a presentation on ‘Accident Investigation’ at a programme organised by the Oli Best Road Safety Organisation, an NGO which concerns itself with traffic management, road safety education and post crash care to victims, among others. 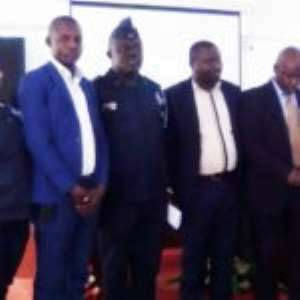 The training, which was under the theme: “Accident Reporting And Insurance Claims,” was meant to equip road traffic crash investigators and medical doctors in Kumasi on medical reporting. C/Supt. Abrokwa said accident investigators have a major role to play in determining the causes of accidents and the offenders, and called on personnel of the department to pay attention to the minutest detail whenever they are investigating such cases. The Chairman of the Togolese Road Victims Association (AVA) and also a Mechanic Expert for Insurance Companies, Mr. Aladji-Weka Kofi Nuseto, who was the Guest Speaker, charged the participants to do their best to help prevent road accidents, emphasising that accidents have lots of implications on the victims. He said the police are the first to arrive at accident scenes and, therefore, must do their best to help prevent road accidents. 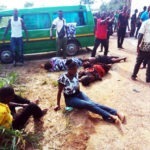 The Emergency Physician at Komfo Anokye Teaching Hospital (KATH) and the Deputy Coordinator for National Ambulance Service in Ashanti region, Dr. Maxwell Osei Ampofo, explained that available statistics reveal that about 202 people died through road accidents in the region, within the first half of this year. Dr. Osei Ampofo, who is also a board member of Oli Best Road Safety Organisation, said this should be a source of worry to everybody because not even the deadly AIDS disease kills people in Ghana at such a rate, stressing the effects of these accidents on homes and the society at large. The physician called for the introduction of an Emergency Care Courses in the training programmes of the Ghana Police and the Fire Service, since they are the first people to appear at every accident scene and required some skills to be able to handle victims without worsening their conditions. Dr. Osei Ampofo stressed that human factors mostly contributed to road accidents more than road factors and called on the police to step up their vigilance during the impending Christmas season, as the accident records in the region were alarming. The Ashanti Sector Area Manager of the National Insurance Commission (NIC), Mr Mohammed Abubakar Wakaso, who did a presentation on ‘Issues On Insurance Claims’, explained that the insurance companies relied heavily on the police because they base their assessment of insurance claims on police reports. Mr. Wakaso said any mechanically propelled and motored object on the road is supposed to be covered by insurance and advised people who intended to insure any property to adequately explain to the insurance company the actual use of such properties in order to avoid disagreements, usually associated with insurance claims. The NIC Area Manager appealed to the police and medical officers to assist the insurance companies and victims by doing proper investigations and swiftly issue medical reports for speedy and accurate compensation of damages to accident victims. The Chief Executive Officer of the OBR, Mr. Richard Karikari, said politicians and traditional rulers should desist from interfering in the works of the MTTD officials and added that parents who allow their children below eight years to cross major roads should be charged. He said road accidents cannot be eliminated totally, but hopes to reduce the worrying trend by 50 percent by the close of the year 2020.